It was one of my oldest dreams to visit a home of Elvis Presley. A home of the King of the Rock ‘n’ Roll – mansion “Graceland.” I still love listening to his fantastic music, which is quickly and cheerfully perceiving. But I was always more interested in his versatile and bright personal life story. 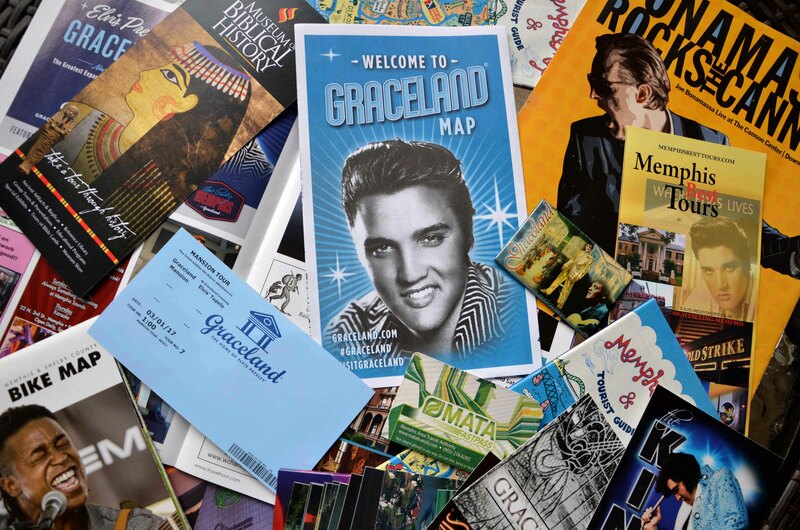 Therefore, visiting the mansion Graceland (Memphis, Tennessee) a place, that remained a home of the legendary Rock ‘n’ Roll King for more than 20 years, was one of the most expected travel goals of this year. Revolutionary and subversive style, a velvet voice and the particular sound, perfect stage performance, and sincere emotions of Elvis Presley has changed the reality and culture of Pop music forever. If you would like attended Elvis Presley home tour, please read my best experience on how to get to Graceland, in Memphis, Tennessee. Even if Elvis was not the first musician of this genre, he was the one who popularized the Rock ‘n’ Roll music and became the most popular in it. Also as you know, Elvis appeared in many movies and wrote dozens of soundtracks, but they were rated very poorly by critics, unfortunately. This fact did not prevent Elvis to reach above the clouds and to become one of the most mysterious, brightest and famous personalities of the last century. Many of his loyal fans still believe that the King is still alive, and his death was merely staged. On every anniversary of his death, there is always someone who will spot alive, old Elvis in the crowd near the Graceland. Elvis Presley and his Graceland. You probably are interested in how did the home of Elvis Presley Graceland get its name? Welcome to Elvis Presley Home Tour! I hope you will enjoy Elvis Presley home tour, let`s start! What year did Graceland open for tours? The bright life story of the King has started early enough. The funny thing is that the teacher of music, back in 8th grade told Elvis that he would be a worthless singer, and then, later on, several producers tried to convince him in the same. Elvis just worked hard, went through challenges, used his fantastic charisma and has reached his dreams quite quickly. Been so young at the age of 22 he was able to buy a vast mansion Graceland, on the outskirts of Memphis. Graceland cost to Elvis $ 102 500. Of course, he spent a lot of money on renovation, decoration, completion and more. So if you wonder how much is Graceland worth now, you can just imagine, almost $ 500 000. Elvis loved to be in style, to be trendy. Therefore, he often changed the interior, replaced the furniture and hired the best masters in the city. Mansion Graceland was built in the colonial style, and the interior was always modern, you would never see antiques in his home. Despite constant changes and renovations, the mansion looks different now than its initial appearance in 50th. Graceland has become everything for Elvis: a home, a studio, a place where he could enjoy all his hobbies, partying, recording music and riding horses, and just to be with a family. By the way, Elvis apparently was not only a talented for the music and PR, but he also was a great businessman and Graceland was a business center of Elvis. In 1954 he founded “Elvis Presley Enterprises, Inc” that wholly belonged to Elvis and his family. After his death, the ownership was passed to his father, then Priscilla Presley and later to his daughter Lisa Marie Presley and lasted until 2005. As you can see Graceland was a real fortress of the King. I have to say that the description of the interiors is not my favorite, thing, so I leave a few pictures and notes. Trust me this place is worth to be visited and explored personally. Graceland will impress you with its scope, right the moment you will find yourself in the lobby. Although, frankly, the first thought for some reason that appeared in my mind was a comparison of luxury lifestyles of Elvis and any modern celebrity. The interior style of the living room in the white, pink and black and gold color scheme has always been the hallmark of Elvis in the ’50s. Mansion opened its doors to almost all the rooms and crannies in June 1982, except to the second floor. Elvis Presley’s bedroom has always been his private place. This part of Graceland remained secret until the King was alive, and as he wished, this territory supposed to stay closed for visitors even now. So, unfortunately, you will not know what is upstairs at Graceland. The living room served as a place where Elvis hosted his friends and family, listened to a piece of music and was engaged in his affairs. Right across the hallway, there is a parents room. As you know, Elvis was very close to them. Of course one of the most popular places in the mansion is a dining room where family and friends gathered. Almost all the rooms decorated with portraits of Elvis, his parents, and his daughter. The house was extended and thus appeared several more rooms. One of them is known as the Jungle. What eventually, in 1976, was converted into a recording studio, where the King recorded 12 songs of his latest album. Right from the Jungle, we are moving into the basement. These individual rooms have a very creative spirit of Elvis. Elvis himself enjoyed playing billiards, listening to music, watching TV and took advantage of his tranquility and comfort. One of the most beautiful and charismatic rooms is considered a place called Yellow TV. Where Elvis could watch several TVs at the same time and maintain his creative trophies, this room is incredibly bright. There are a few more rooms and kitchens where everything was prepared for parties, and there are a lounge and even room to play squash! When leaving the house, you have to stop at the business kitchen of Graceland – the office, where all the business was cooking. Work in the office was boiling. Daily, hundreds of postcards, letters, gifts were received from loyal fans from all over the world, some of them you still can see there. In the office were conducted negotiations, occurred arrangements and all things business. It was so easy to imagine like Elvis or his father, or even his grandmother, with whom he was very close, were typing something on the typewriter. Or you can imagine Elvis with a cigarette in his mouth talking on the phone. In the office, you can see a part of the presentations where Elvis shares his feelings with the journalists on his romantic passion – his future wife, Priscilla Beaulieu. They met in Germany while Elvis was serving in the Army. Did you know that Priscilla was only 14 years old, and they lived together for six years before getting married? One of the biggest Elvis passions were horses and cars – grace and speed. Leaving the office you appear in a vast courtyard where once was placed the collection of vehicles, that is now moved to the museum of cars of Elvis Presley. There is a massive space for horses, and of course, he had his favorite horse – Rising Sun. You can not miss the Rock ‘n’ Roll King`s room of the fame, where you can find the majority of his creative trophies and many personal belongings. There are so many impressive things that help you to imagine an extraordinary life of the family: family tree, Presley family portraits, letters, original interior projects, accounts, personal weapon, wedding dresses, first presents for a newborn Lisa. One word you can see all the components of the Elvis Presley universe. Walking through the mansion and listening to the story of Prestley life from the electronic guide seems like you are a time traveler. Just imagine, that only a little time and between us and the age of Elvis will be a distance of 100 years. How dramatically life has changed! I would say that Graceland seems like it is an oasis of time, which has stopped. When you are there, it feels like you just melt in the atmosphere of this home and you quickly forget about all values of the modern world. Only an IPad and the headphones in your hands, telling you the details with will bring you back to the reality. Over time, to keep the success on top, Elvis had to work harder and harder. Shooting in the various movies, creative crisis, sleepless nights, workaholism, emotional exhaustion, sickness, constant fight with extra weight made him dependent on drugs. Medicines that Elvis took over the years turned into the drug addiction. Elvis felt like someone continually spying on him. Therefore Graceland was equipped with the best at that time security system. The last years of his life he almost didn’t sleep well, felt constant fatigue, his life turned into a nightlife. All he wanted to sleep well and to get a great rest. All that led him to a tragic end – an overdose of sleeping pills. 16 August 1977 was another sleepless night. Elvis could not sleep, so he took more than he needed medicines, and finally fell asleep, but never woke up. Of course, a secret investigation of his death of Elvis did not satisfy his loyal admirers. As a result, his grave was fractured. Later Elvis back to his forever home – Graceland. Elvis found peace together with his family, in the Meditation Park, a small square that is located in Graceland right next to the pool. Looking at his grave, the myth that Elvis Prestley is still alive disappears. You understand that even the brightest star fade away, but its light will keep traveling through the time into the most profound destinations of the galaxy. The story of the Elvis Presley has not finished and has been continued by his descendants. Elvis – the daddy, deeply loved his baby Lisa Marie. Presley’s Convair 880 was named Lisa Marie after his daughter. His daughter Lisa has grown and has got her kids. Of course, she inherited some creative genes from her father. Not surprisingly, she also tried herself in music, and she even published some pretty good albums, but she has never gotten such a great glory as her father. Scientists say, that the first genes to be passed down through the generation. Elvis has a granddaughter – Riley Keough, she was born in 1989, and she is one of the great-granddaughters of the King. She chose acting instead of the singing!